Xiamen Airlines is growing well outside its namesake home city of Xiamen and greater Fujian province. Xiamen has a sizeable presence in eastern and western Chinese cities, and expects its Oct-2014 announcement of acquiring Hebei Airlines to boost its position in the vital Beijing market in the longer term. Xiamen is China's sixth largest carrier in Dec-2014, behind the three state-owned carriers, Hainan Airlines and Shenzhen Airlines. It has 111 aircraft including two 787-8s from an order of six it expects to use on token long-haul routes. But Xiamen remains focused on the domestic market, seeing long-haul routes, especially from secondary cities, as risky. A downturn in traffic saw Xiamen Airlines miss its goal of exceeding 20 million passengers in 2013, but Xiamen should be able to achieve this target in 2014. 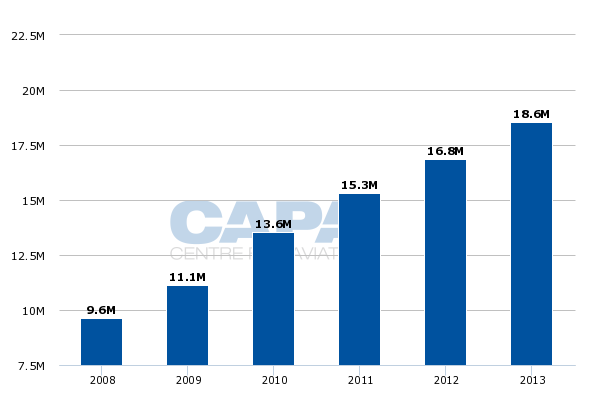 Xiamen Airlines aimed to cross the 20 million passenger mark in 2013, but a slower than expected year saw Xiamen end 2013 with 18.6 million passengers, although this was still a doubling from 2008's traffic of 9.6 million passengers. "Slowing" growth at Xiamen meant a growth decrease from double digits to approximately 10%. In the first 10 months of 2014, the latest data available, Xiamen's traffic was up 8.9% compared to the same period in 2013. If Xiamen maintains that growth rate, it will end 2014 with just over 20m passengers. Xiamen Airlines' base and largest point is its namesake city of Xiamen, which expects to open its new domestic terminal (terminal four) on 28-Dec-2014. Xiamen's second-largest base is at Fuzhou, which like Xiamen is also in Fujian province. But after those two points, Xiamen's network stretches well beyond, with presence in Hangzhou (near Shanghai), Beijing and central/western cities like Changsha and Wuhan. Beijing is an aspirational city for Chinese airlines and in the long-term Xiamen Airlines expects to bolster its presence via subsidiary Hebei Airlines. But in the medium-term Xiamen expects to open eight domestic routes and two international services from Beijing in three to five years. 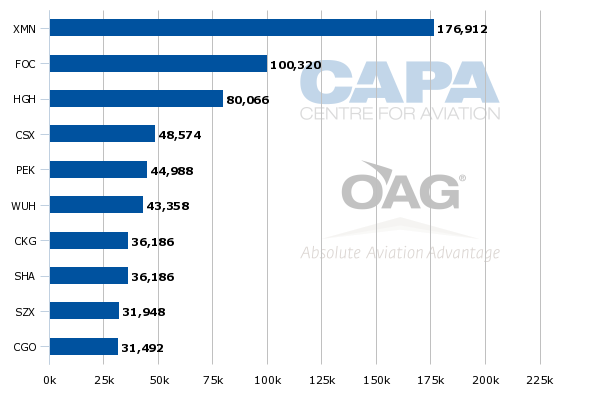 While this may seem small, it should be considered Beijing is the stronghold for Air China, and Beijing lacks slots. Any additions there are accordingly valuable. Diversifying into other markets carries the risk of spreading too thinly; nearly two-thirds of Xiamen's domestic routes are served daily or less. 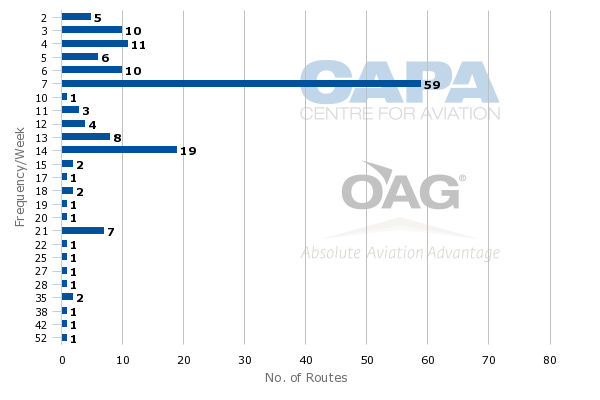 But Xiamen's network also includes most domestic capacity on flights under two hours. 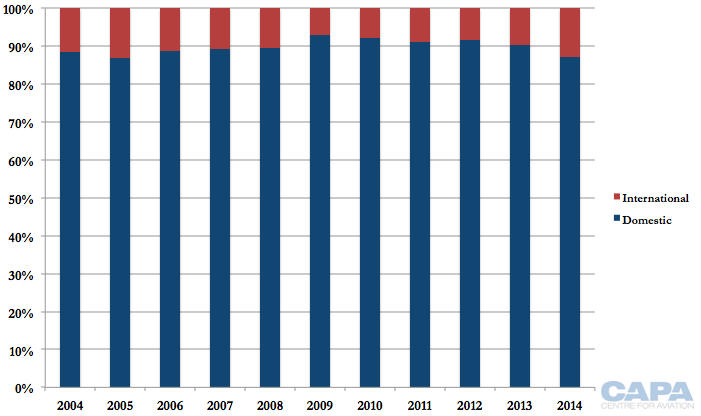 This makes it susceptible to competition with high-speed rail, which is growing. The impact can be gradual, as seen on the Shenzhen/Guangzhou-Xiamen route. Xiamen Airlines in Oct-2014 announced it would take a 99% stake in Hebei Airlines. In doing so, Xiamen increased its profile in China's Northeast, where Hebei is based, and also took a new role as a Chinese airline, one of a parent. Air China, China Eastern and Hainan have numerous subsidiary airlines while China Southern primarily had Xiamen. Xiamen taking Hebei under its wing extends ownership to a further level in China Southern. This also adds complexity. Xiamen has sought to limit China Southern's influence, seeing a bloated state-owned airline telling a more agile airline what to do. With Hebei, Xiamen may find the roles reversed, although Hebei is drastically in need of reform whereas Xiamen is not. A first step between Xiamen and Hebei was Hebei codesharing on over 400 domestic services of Xiamen Airlines. Owning and supervising another airline is also an affirmation of size and maturity. 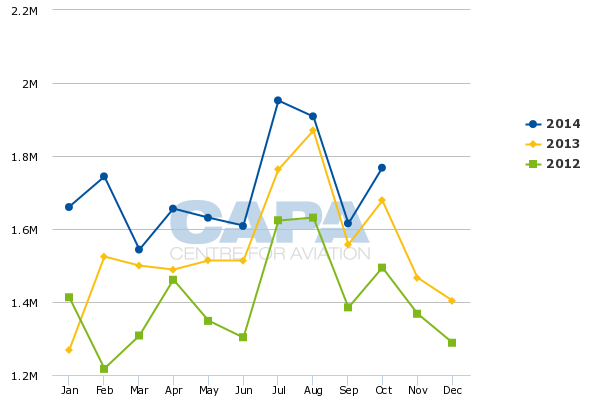 Xiamen has 111 aircraft as of 19-Dec-2014 according to CAPA's Fleet Databse, but the airline still has a low-profile, unlike comparatively-sized Hainan. Xiamen does boast that, by its own metric, is the world's most consistently profitable airline. This is difficult to check, but there is no doubt Xiamen is an efficient domestic carrier. Indeed, China Southern has sought to learn from Xiamen. Firm orders include those placed directly by the operator and by lessors assigned to the operator, from 15-Dec-2014 onwards. 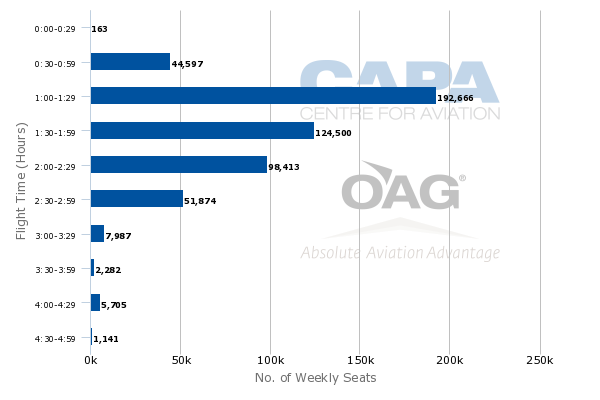 9% of Xiamen Airlines' seat capacity and 12% of its ASKs are in the international (including regional) markets, according to OAG data. About 60% of international capacity is to Northeast Asia, primarily Taiwan, Macau and Hong Kong (classified as regional markets). Xiamen's largest Southeast Asian destinations are Singapore and Thailand. 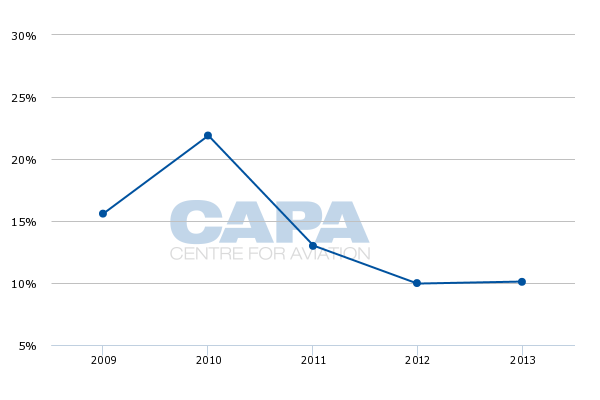 In recent years Xiamen Airlines has been growing international's share of capacity, but just slightly from under 10% to over 10%. Domestic remains the vast majority. On 10-Dec-2014, Xiamen Airlines announced five new international services. Three are from its two largest bases, Xiamen and Fuzhou, while a fourth involves the city of Quanzhou, also in Fujian province, and a fifth route is outside of Fujian, indicating international growth, like domestic, is occurring in new areas. Xiamen Airlines is the next Chinese airline due to start long-haul flights, a complexity and highly visible task that China watches over. Besides the three state-owned carriers – Air China, China Eastern and China Southern – Hainan Airlines and Sichuan Airlines also fly long-haul. Xiamen will be the sixth Chinese carrier to fly long-haul. The process is gradual, with China wanting to see airlines perform well in domestic markets and then short-haul regional markets. Making the move to long-haul can be timely. Xiamen Airlines received its first 787 in Aug-2014 and as of Dec-2014 has two with four more on order, including one for delivery in Feb-2015. 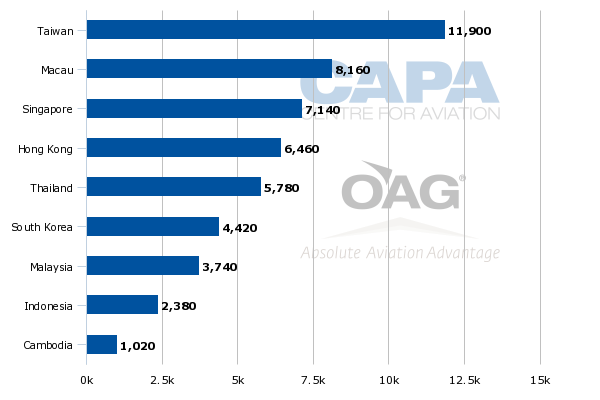 The aircraft are being used on domestic sectors for the long induction period the CAAC requires airlines to have with new types. For long-haul deployment, Xiamen Airlines is believed to have found interesting North American routes like Fuzhou-New York, which have large point-to-point demand but no non-stop flights, mostly because the demand is very price sensitive with limited premium traffic. It is more likely that Xiamen Airlines would start long-haul services to Europe, which it wishes to do in partnership with fellow SkyTeam carriers Air France-KLM. However, AF-KLM is believed to be hesitant, fearing over-capacity on secondary Chinese city long-haul flights. Australia may also be an option, but Sichuan Airlines' weak experience in Australia shows the difficulties in that market. Xiamen Airlines has indicated it could commence long-haul flying as early as northern summer 2015. Xiamen Airlines ordered only six 787s, giving it a token long-haul fleet. Synergies, like maintenance, may be possible with majority owner China Southern Airlines, which also operates 787s. Ultimately, long-haul flying is not a top priority for Xiamen Airlines in the medium-term. It knows long-haul flying is challenging, especially from secondary cities, and Xiamen has performed well in the domestic market. However, Xiamen had to accept government aspirations for airlines to go global. Ironically, Xiamen Airlines' forthcoming entry onto intercontinental routes will give it a large profile boost - but it risks having a large impact on Xiamen's impressive profit record. Even a handful of aircraft can quickly accumulate large losses, as Xiamen parent China Southern can attest to with its A380. So it is reassuring to see Xiamen effectively acknowledge its strengths and weaknesses. It will tolerate having to operate long-haul services, but remains focussed on being a national Chinese carrier. Its government ties, in its own right and via China Southern, are a strong card to play, and a potential advantage over privately-owned Hainan Airlines. By 2020 Xiamen Airlines will be a much more widely recognised brand than it is today.